Bathrooms and other wet areas are a major concern for property owners as leaks in the waterproofing can lead rotting structural timber, rotting floors and damage to plaster and paint work. The cost of rectification of wet area waterproofing failures can be considerable not counting the inconvenience of losing a bathroom for potentially a number of months. By taking some extra time and thinking in advance you can properly waterproof your bathroom and wet area, knowing you will never have a problem in the future. Wet area waterproofing needs to be considered prior to construction starting as it becomes an integral part of the process. 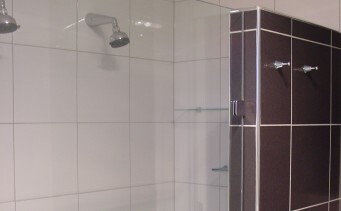 Our installers usually need to be present at different construction stages to achieve a properly waterproofed shower and wet area combination.